Loving books: B&DERM First Read-a-thon! 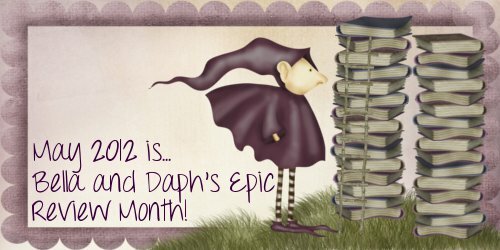 While it's time to wrap up this first full week of Bella & Daph's Epic Review Month (check out Bella's blog for this week's wrap up post! ), it's also time to kick off the first ERM Read-a-thon! From today until midnight on Sunday, we try to read as much as we can to catch up with our TBR piles. I know I need to! There will be several posts during the weekend to motivate you as well as some post that may help challenge you to read more. If you're participating and talking about it on Twitter, use the hashtag #ERMreadathon! That way we can all chat about it and cheer each other on (when we're taking a little break from reading like crazy, of course). Four books is a lot for me to read in a weekend, however I'm already reading Soulmates so hopefully I can read those other three after I finish this one! I haven't written a post yet, but I am indeed XD I'm planning on read Shooting Stars by Allison Rushby and Slated by Teri Terry. Not sure which others I'm going to choose from NetGalley yet, though.